Today I arrived at school to discover that the internet was down. A colleague popped her head into my class room and asked, “So what are you going to do this morning?” Thinking off the top of my head, I replied, “We are going to paint with our feet”. I saw an example of this on Pinterest over the weekend, so I thought today was a perfect opportunity to give it a go. 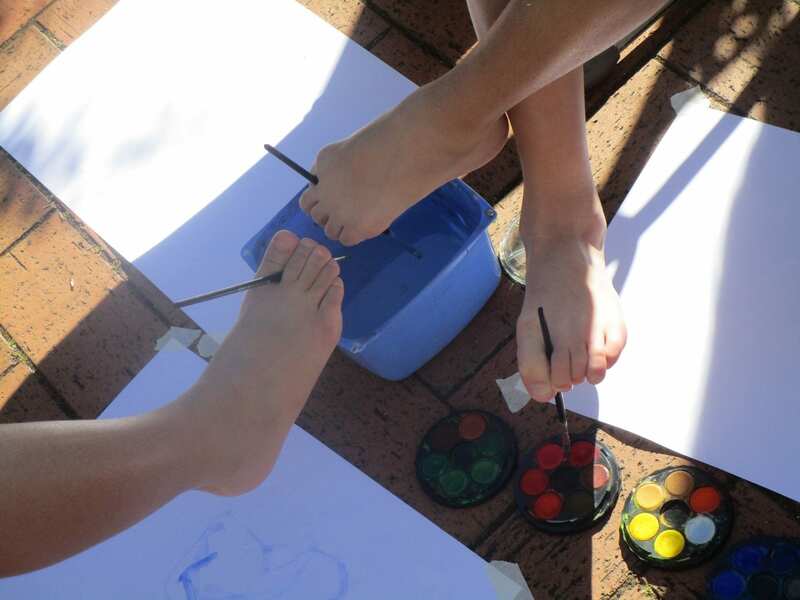 ‘Foot painting is a technique to create drawings, paintings and other works of art by manoeuvring brushes and other tools with the foot. 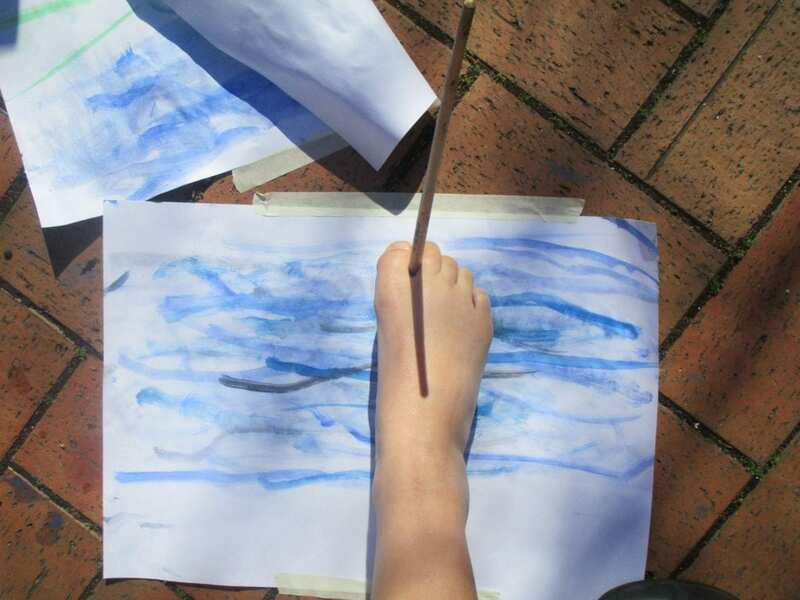 It can be done sitting on the floor, at a table or at an easel, as most foot painters use their toes with the same dexterity as people with hands use their fingers. The technique is mostly used by artists who through illness, accident or congenital disability have no use of their hands’(source).